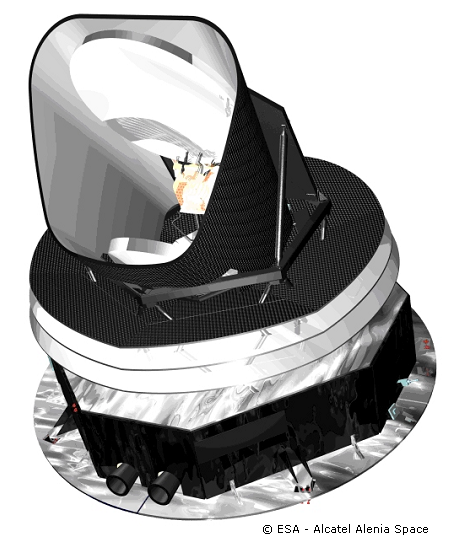 The European Planck satellite to be launched in 2008 aims to map the geometry and composition of the “1st light” of the Universe more precisely than ever before. But before seeking to answer such key cosmological questions, the satellite first has to withstand the extreme cold of outer space. Are current theories regarding the birth and evolution of the Universe right? That is the question the Planck mission will attempt to answer. Its telescope is designed to detect the tiniest variations in the cosmic microwave background (CMB), the cooled remnant of the first light to appear in the Universe about 380,000 years after the Big Bang. Detected for the 1st time in 1964, this “fossil” radiation is at a mean temperature of about –270°C. The smallest variations in this value are a rich source of information concerning the Universe’s origins and characteristics, revealing the 1st materials that ever accreted. In 1992, the U.S. Cosmic Background Explorer (COBE) satellite established the 1st map of the CMB. In 2002, WMAP (Wilkinson Microwave Anisotropy Probe) obtained a much clearer picture. Now, Planck is planning to go one step further with instruments 10 times more sensitive than WMAP. To achieve that kind of precision, Planck’s instruments will have to be maintained at extremely cold temperatures using revolutionary cooling systems. The French High Frequency Instrument (HFI) is currently undergoing thermal performance and calibration testing in a cryogenic vacuum chamber, where temperatures can go as low as –269°C. A helium dilution refrigerator will cool the instrument’s detectors to the temperature at which it will operate in space (0.1 K or –273°C). The HFI will then be integrated with the other instrument in the satellite’s payload. 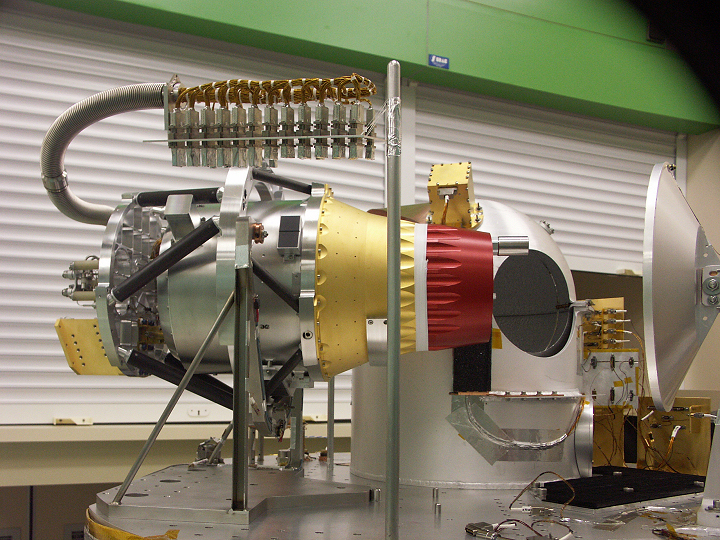 After integration in Cannes, France, Planck was transported to the Liège space centre (CSL) in Belgium for cryogenic tests in flight conditions without its telescope and instruments. It will be returning to Cannes later this year for integration with its payload. Planck will be launched early in 2008 by an Ariane 5 with the Herschel infrared space observatory. It is scheduled to operate for at least 2½ years.